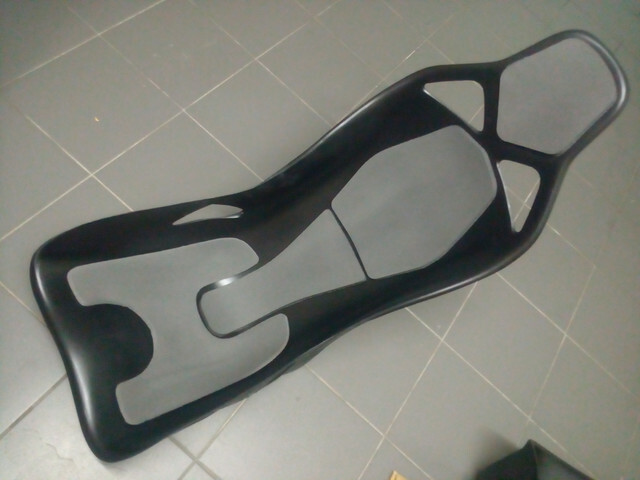 What do you guys think about this new bucket seat design? 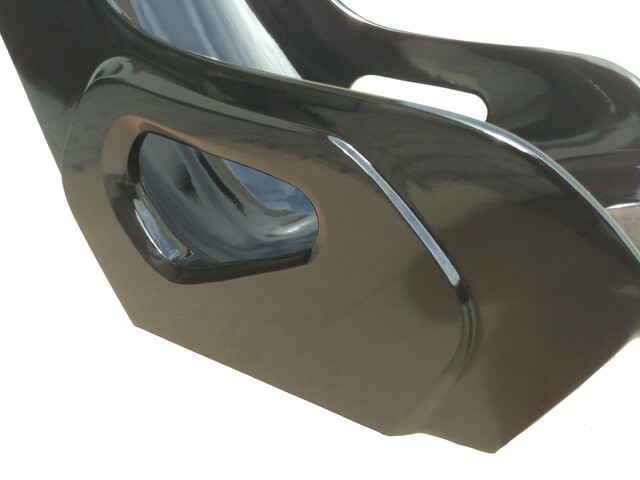 It is possible to bolt the seat underneath and on the sides, by means of an aluminium side plates set. 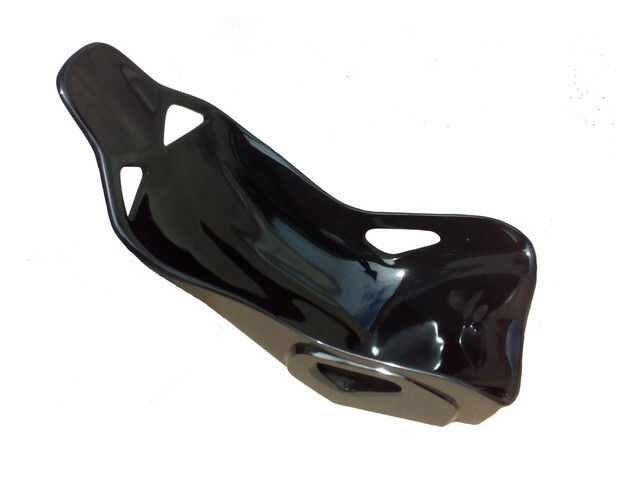 The base is flat and unlike other bucket seat designs, this design have both front and rear clean finished surfaces. 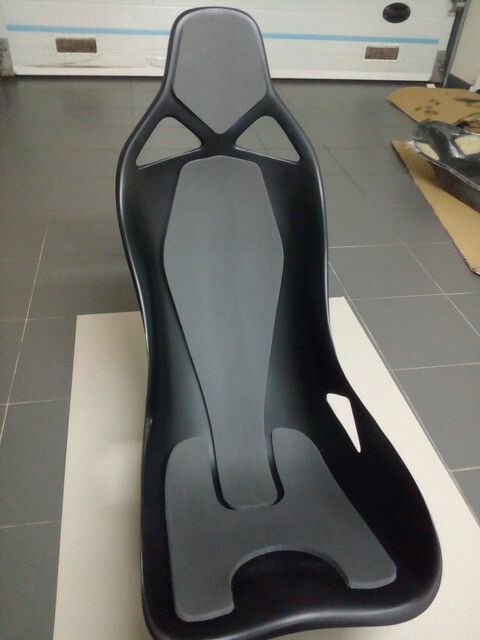 This will allow the seat to be used in other kind of cars, not only seven type cars, wile still look a complete and finished seat. 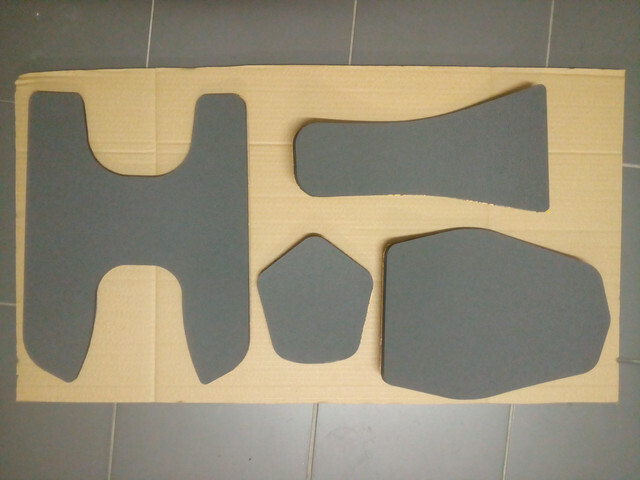 Also a variety of EPDM foam pad designs are possible, due to the use of a laser cut machine and cad design. Yep, I like the look of those and would be interested but not sure they will fit the Fury as the mounting points I'm sure will not fit in the tight space available. 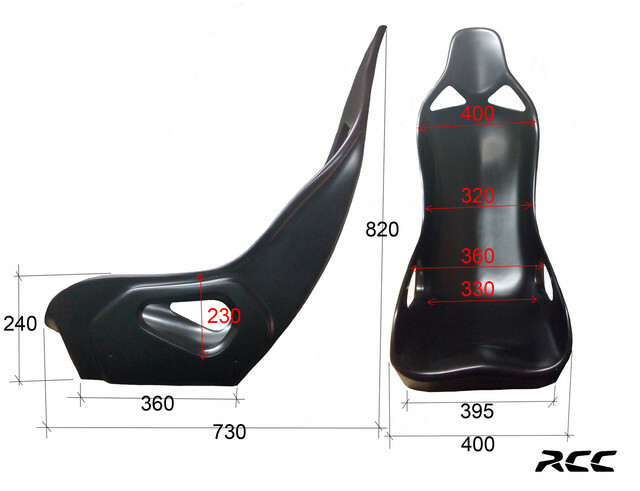 I would need to remove my current seats and measure which is a real pain on mine. To build on what Tim is saying. 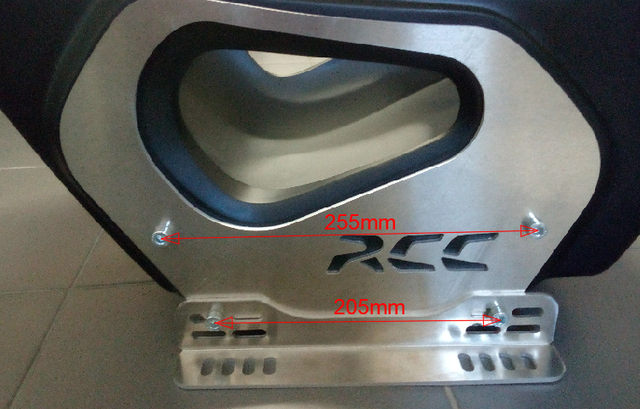 The majority of JPSC designed cars are very narrow. 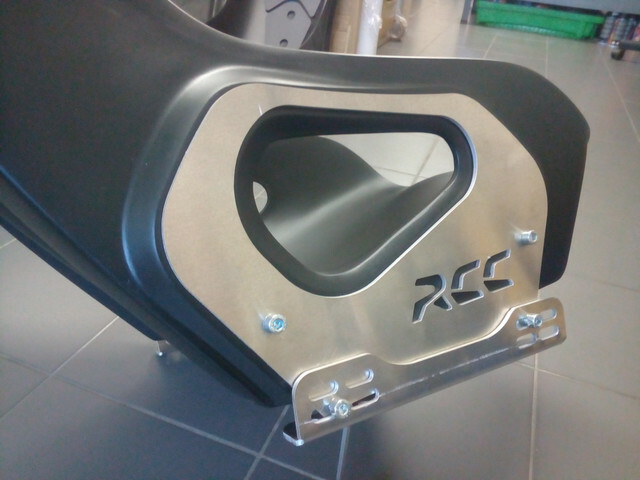 A lot of GRP seat manufacturers have specific seats just for this chassis design as they are popular. I don't think 400mm fits. So you may want to think about your ability to supply to that area of the kit car market. As a product, they look nice. Some evidence of testing would give people confidence to buy in, as well as info for weight and cost. They look nice (although personally I'm not a fan of the pad designs shown). It would be good to have a hole (or a variant with a hole) for 5/6 point harnesses. What price are you looking at as I'm tempted for the 450mm version with side brackets. Just need to check I'll fit as I'm a big chap but car is quite wide. 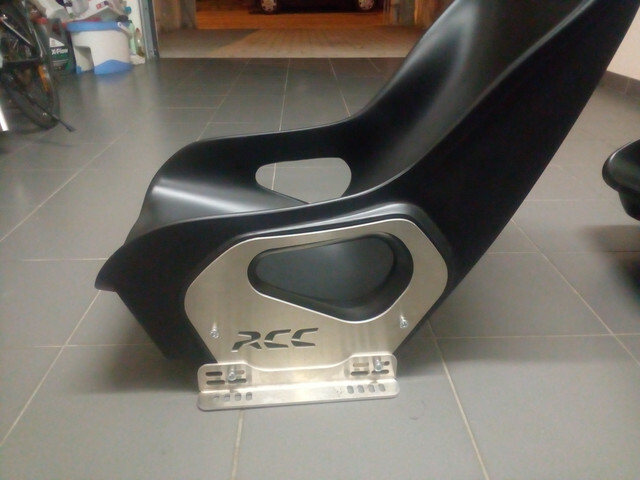 Simple seats weight a little less then 4 Kg and complete with all side mounts attached, weights also a little less then 5 Kg. 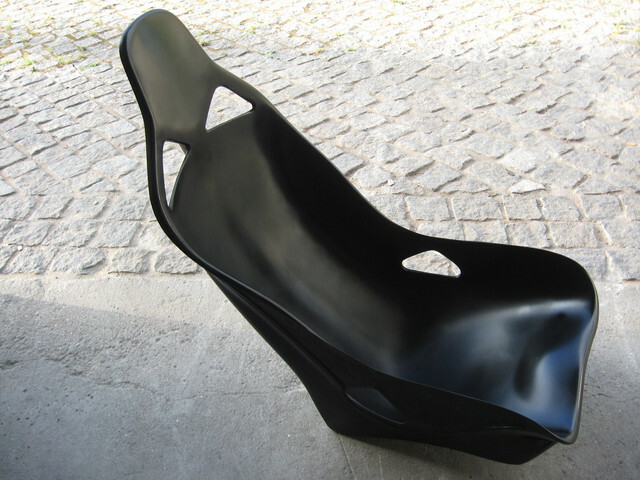 The wider seat (with 450mm) will be available only mid July, as I need to make a new mold. These are introductory prices. They will be revised soon. Yes. Very interested in these at that price. Interested in how stiff they are? Thank you, in fact, I was already in touch with MK about these. If anyone is interested, feel free to get in touch, of course. 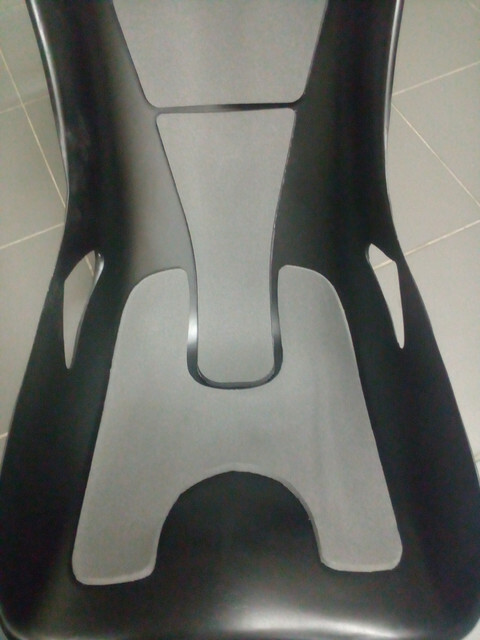 The seats are very sturdy and stiff, due to its double shell construction and design. 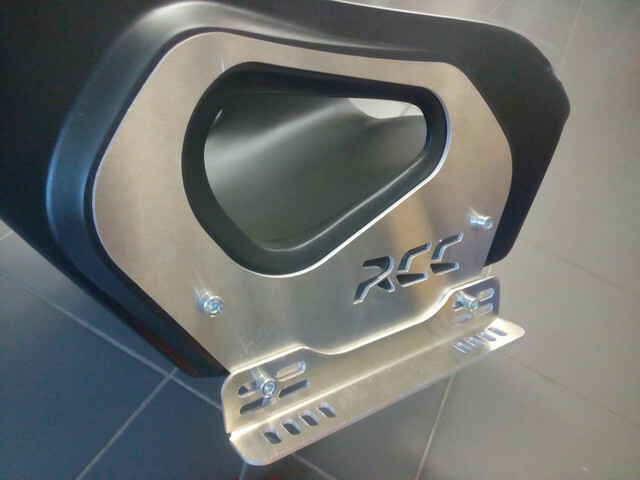 Also, the bolting points are very secure, since they are made from steel bar embedded in the GRP, in a very long "L" shaped piece, in order to have both holes at the same corner, in the same part. 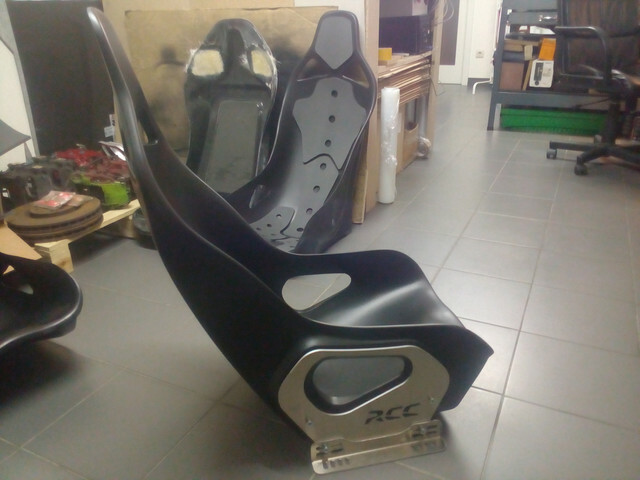 How are they going to be shipped (and what would the cost to UK be for a pair of seats + mounts) or is the thought to have a UK distributor? There's no UK distributor, sorry. 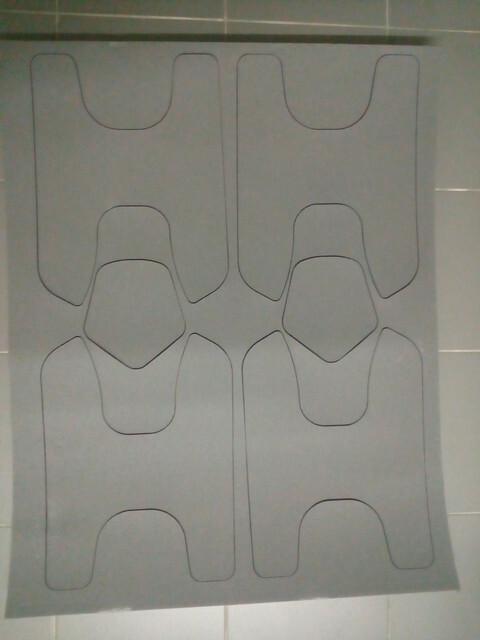 The seats will be sent by carrier. Cost around 60GBP. 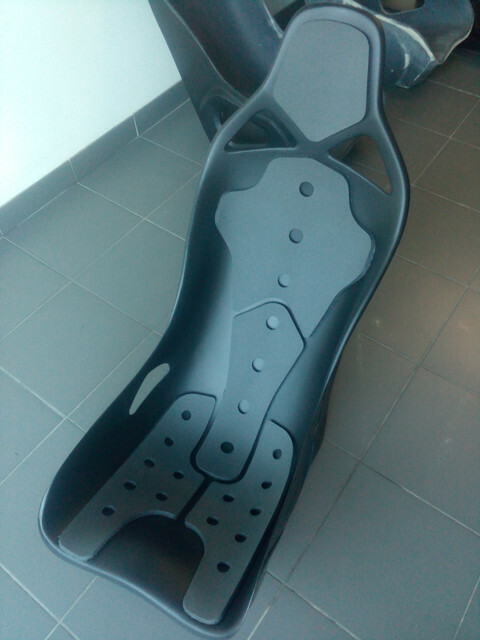 Transport price is the same for one or two seats, with or without side mount plates. Though sometimes there's a small delay, not sure why to be honest, usually takes up to 3 or 4 working days to get there. 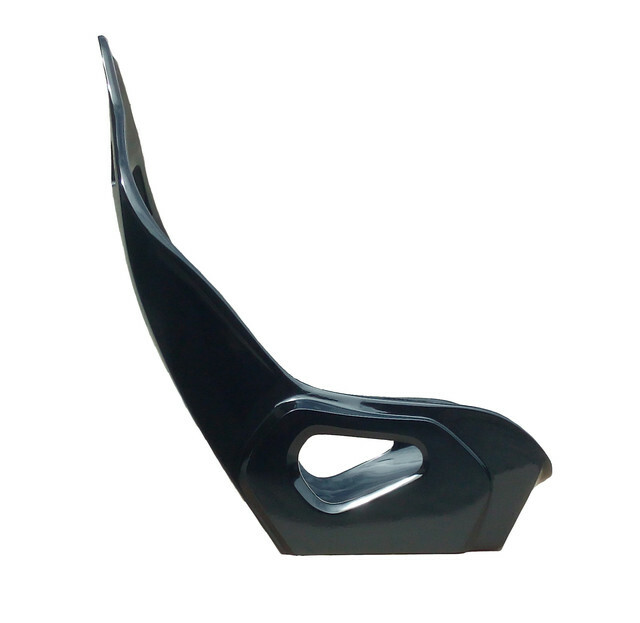 When will you have dimensions for the 450mm seats as very interested in a pair with base bracket. 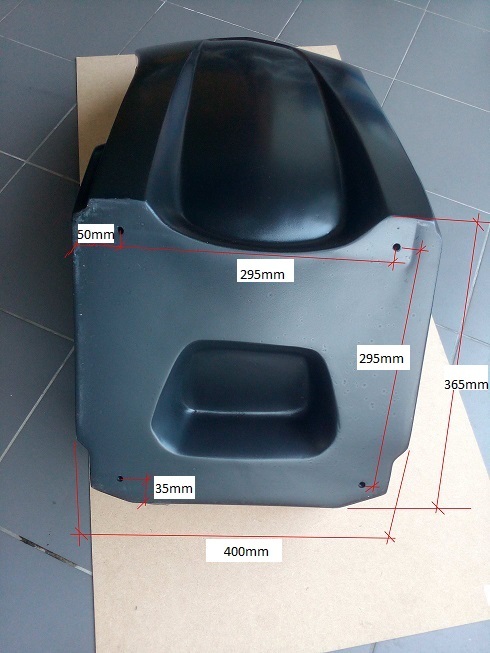 The larger seats will have 50mm more then the standard. 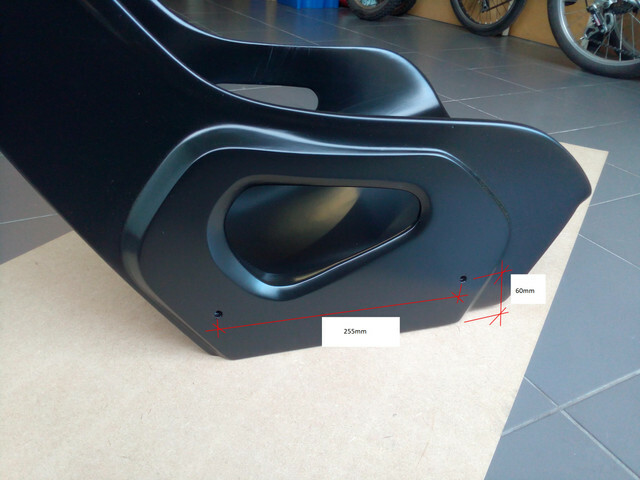 As an example, were in the standard seat measures 320mm, this wider one will measure 370mm. 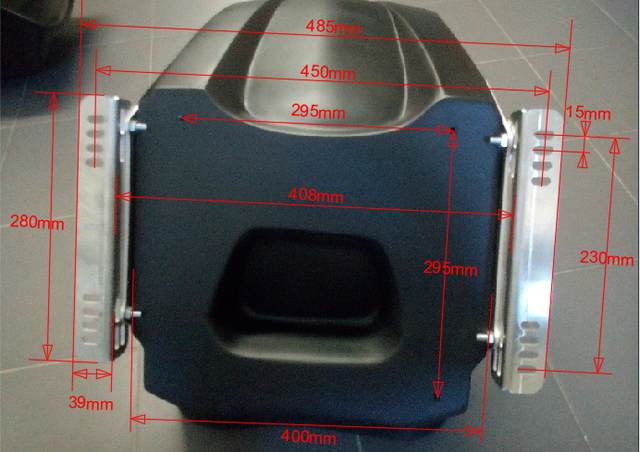 Total width will be 450mm instead of 400mm as in the standard. 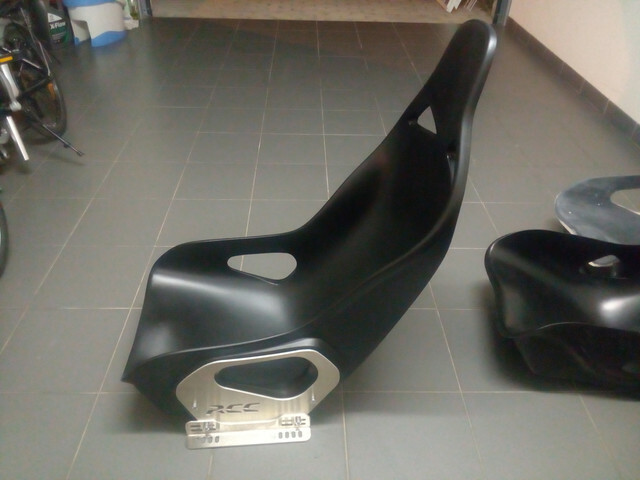 Just to let you know that these seats will maintain these introductory prices until the end of the actual stock. The new batch will suffer a price increase never less then 30%. 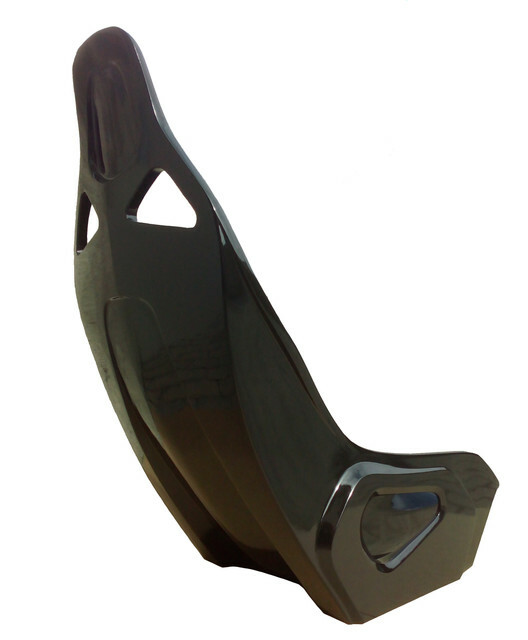 Aluminium side mount plates and EPDM foam pads will not suffer any price changes for the moment. If you are interested, please feel free to contact to secure your order at actual prices. I will try to keep prices down, of course. It's not my intention to overprice them. Just need to adjust to reality. If I can, will keep it as close as possible to the current price. Anyway, prices for transport will be slightly lower, passing from 60GBP to 45GBP. Price for transport is the same for one or two seats. Also, I have a more standard seat at 90GBP. This one is more rugged and simpler then the new model, but even so, is well built, stiff and also light weight. How much all in post to Kent ?? I like the look of these. Do these come with 4 mounting holes on the base and if so what size are the nuts? 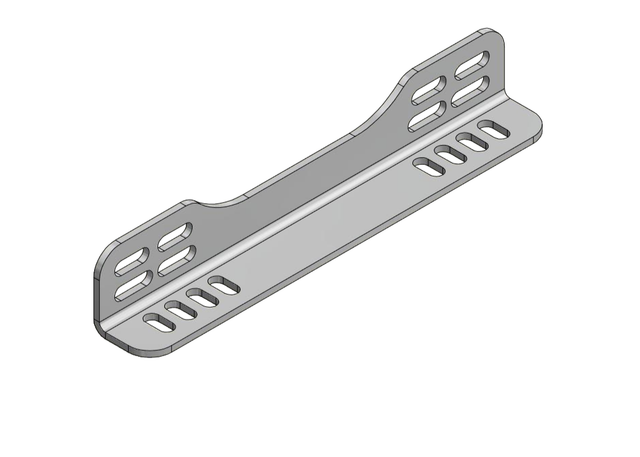 Would they be the same price with the additional hole in the base for 5 point harness? Hi Ernesto, I like the look of these, but don't think they'll fit in my Stylus. 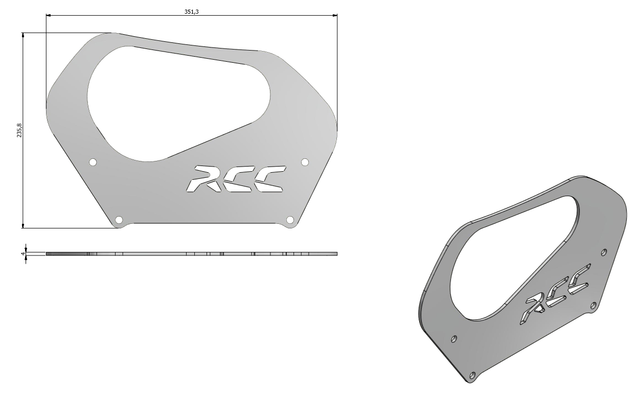 Have you any plans to create a narrower version that would fit JPSC cars? 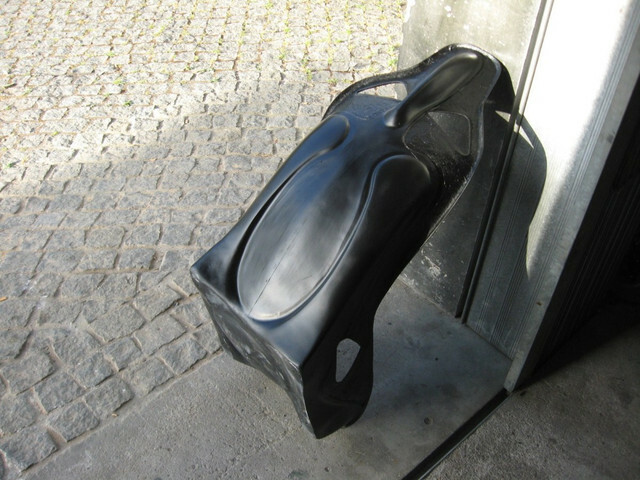 you can´t blame ernesto that he is in portugal (hence higher shipping costs) and has, imo, made a brilliant job in designing a (sturdy) leightweight seat for a very competitive price. there are plenty of kitcar enthusiasts living in france, belgium , netherlands, italy, spain, germany etc....and they always have to pay the "high" shipping costs from UK to their destination in case they need to order parts from the homeland of kitcars...the UK. also sometimes its better organizing the shipping from the buyer´s side....at least i have made the expirience in certain cases, where i could reduce the costs by 30% organizing the courier from my side. 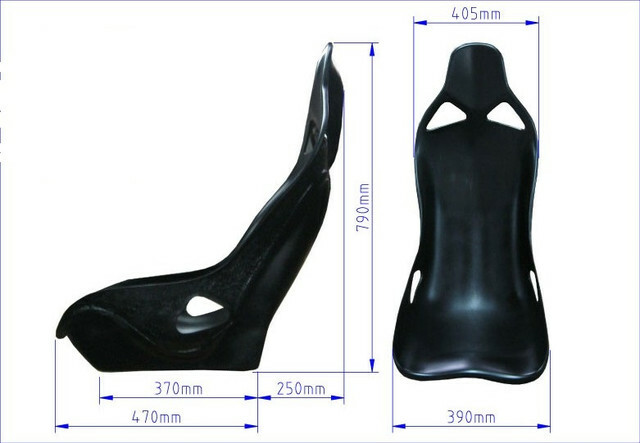 see those nice seats and compare them to the usual rubbish which is sold even higher priced (ex-shipping). .........nobody has complained about shipping costs? The point was that an increase of 30% on base prices would bring them into direct competition with other offerings. Going to measure up my car and I'll probably be in touch for payment details Ernesto. Is there potential to save on postage if we group together a delivery?